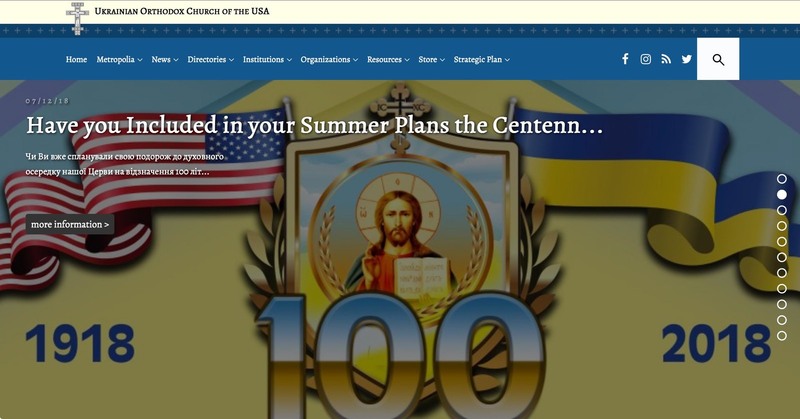 At its founding in 1918 the Ukrainian Orthodox Church of the USA immediately began serving the immigrant communities that settled in the continental United States of America. 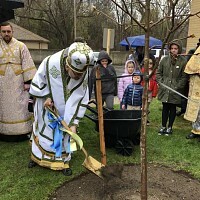 Today, a century later, we continue to serve over sixty thousand Ukrainian Orthodox Christians in two Eparchies – Eastern and Western. Within our Metropolia you will find 100 parishes and missions with liturgical services offered in Ukrainian and English languages. We worship together and also serve our neighbors through active social service, education and charitable outreach. The Metropolia is a small but ancient Christian Community, that can trace its roots back to Holy Apostle Andrew and the very origins of the Sacred Christian tradition. Today, our Church aims to incorporate and preserve the best of that rich seam of tradition in a diverse, vibrant and multicultural society and all the challenges and opportunities that it brings. 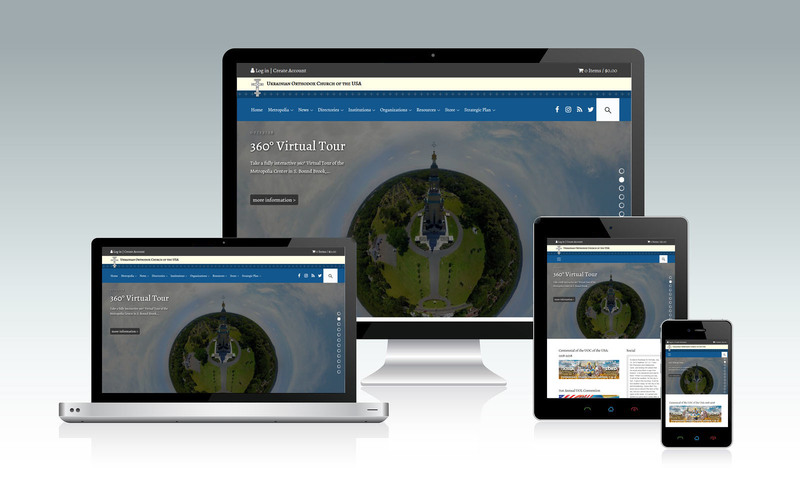 The website of our Church is not only a place to access practical information about the Metropolia and “what’s going on”, but also where to learn more about our Church, the Church in the World, and also help us to reflect on our Christian faith and vocation, and what it means to be disciples of our Lord and Savior Jesus Christ and proclaim his “good news” of Justice, Peace, Forgiveness and Love in our world today. It is very much a “work in progress”, and so if not all the information is immediately accessible and some pages remain under construction, please bear with us. “Rooted in Christ” and the unchanging riches of his grace, the Christian Community throughout history is called to the “noble adventure” of proclaiming with joy and hope the Good News of the Gospel of salvation to the world. The commission of the Risen Lord to His people – to go out into the world and be bearers of this news – compels us to rise to the challenge of speaking the languages of our times, so that – even in virtual worlds where all too often very different languages and logics hold sway – the work of Evangelization continues and God’s Kingdom becomes reality in the here and now of life. We must be fearless in adopting the new ways of communication thus proclaiming the Word of God to the world around us whether through this web site or any parochial web (electronic) means of communication. That is the mission of the Church, and this website should be, above all, an instrument towards achieving that goal, together. 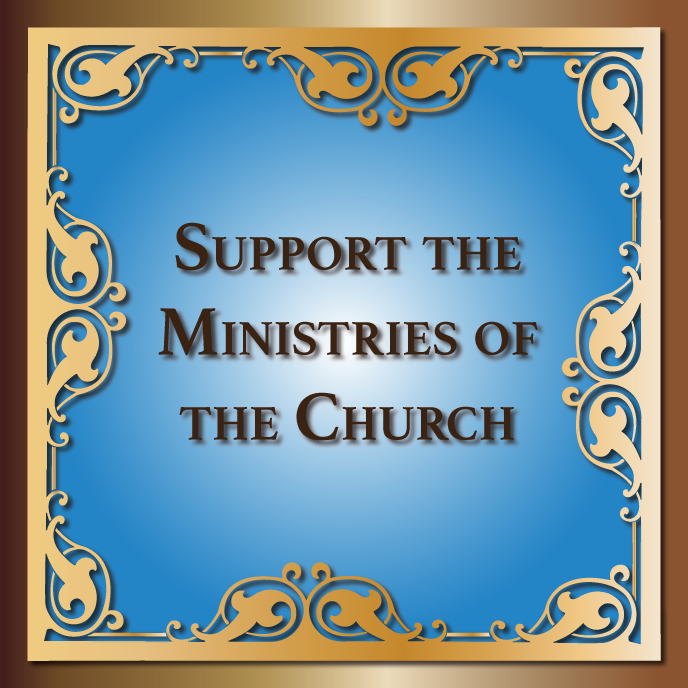 To join us in our work, please visit one of our churches or learn how you can support our charitable, educational, and pastoral mission.